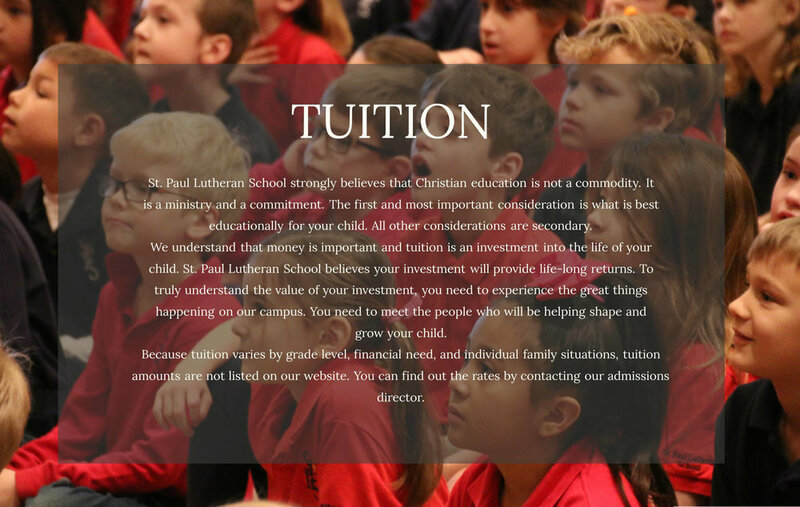 St. Paul does offer scholarships (financial aid) to families who qualify. We would love to visit with you about the application process. Our goal is that money will not stand in the way for any families. All Contents copyright St. Paul Lutheran School. All Rights Reserved. St. Paul Lutheran School admits students of any race, color, or national and ethnic origin.